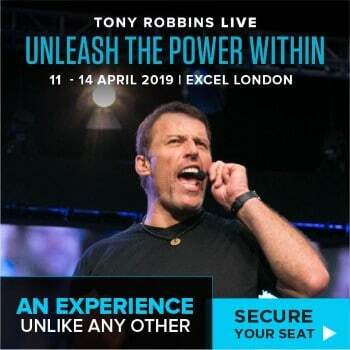 If you are serious about self-development and personal growth or looking for a life-changing event, Unleash The Power Within event is for you. 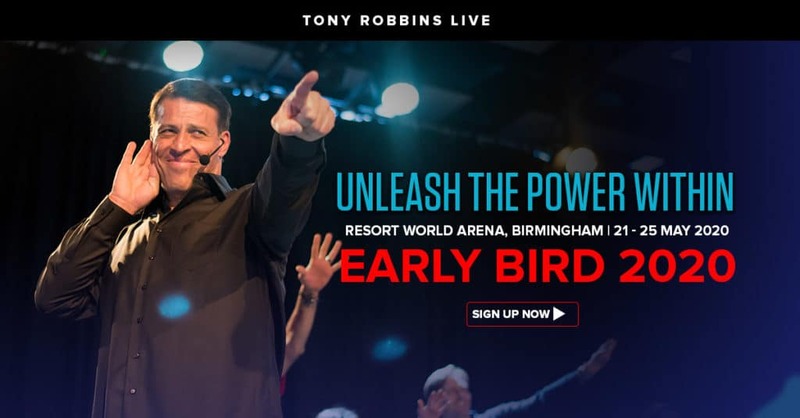 UPW Birmingham 2020 is a 4 day live event. 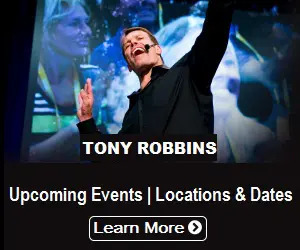 This event is designed by Tony Robbins that will help you unleash your unlimited potential to break through any limit and challenge in your life right now and help you create the life that you truly desire and deserve. You’ll learn how to destroy the limitations and build your dream life and achieve greatness. Do you want more out of life? Stop settling for less than you deserve! If you want truly to create a life of your dreams, you must better understand drives you and what makes you do what you do. At this all new UPW event, you will be able to develop the understanding and skills to create change and defy your own limitations. You must register in order to attend this event! Tickets will be emailed to you when it comes closer to the event. There are Gold, VIP, Ruby, Diamond and Solitaire seating. Promo code and discount special deals are automatically updated on this page. Simply click on the button below to check the current best price. Click here to book your early bird tickets! What is the single force that controls the quality of your life? What is the one power that you have right now in this moment that can change everything? It’s the power of choice. We cannot control the events that happen in our life, however, we can choose what to focus on, what the events mean, and what to do about it. Those 3 choices have the power to control our life. It’s not so much the conditions in our life that control our destiny, but it’s our decision. Let’s take a look at your life, how would your life be different if you made different decisions? Here’s the formula: decision equals destiny. Remember if you want to change anything in your life, you have the choice to do it by making the real decision. A real decision is when you cut off any other possibilities and you are committed to take massive action to make it happen. When you make these decisions unconsciously, you usually get terrible results. So if you want to change your results, you have to make conscious decisions. The first decision is to choose what to focus on. Whatever you focus on, you will feel it whether it’s true or not. If you focus on people don’t care, you will find the evidence why they don’t care. So it’s better to focus on what can help you move forward. The second decision to make is what things mean. Remember nothing has the meaning except the meaning you give it. You get to choose the meaning of everything. For example, if something happens to your relationship, and you make a decision that says this is the end of the relationship. The question is, are you going to treat that person the same way as if it’s the beginning of the relationship? Of course not! So the meaning you give to something will affect the result. The third decision is to choose what to do. When things get hard, you can choose to quit or choose to become stronger by keeping going. You can choose to give up or you can choose to give it another try. You can choose to let the pain stop you or move you forward. Your destiny is ultimately determined by your 3 decisions above. The decision to choose what things mean, what to focus on and what you will do.